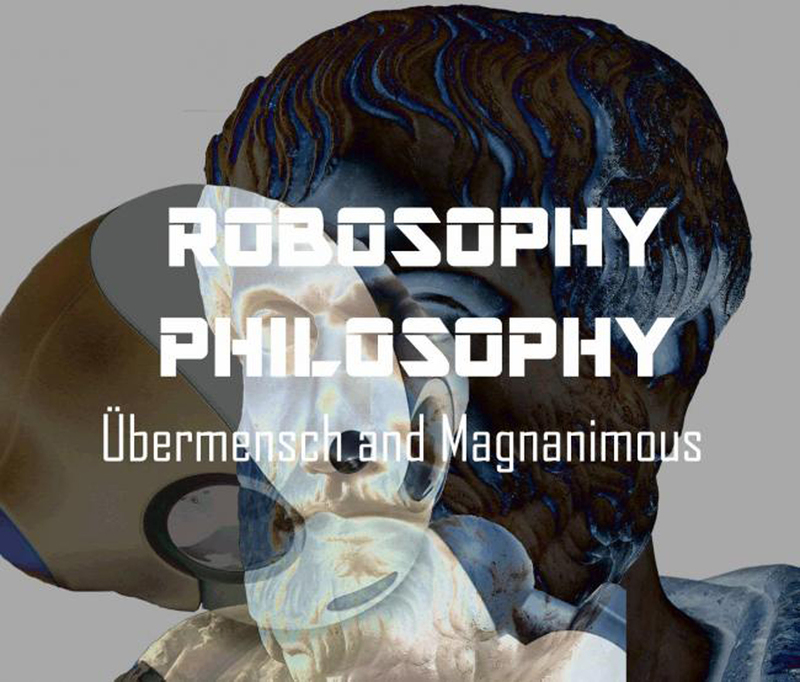 In the project Robosophy Philosophy (Meeting Points: Übermensch and Magnanimous) robot are mixing words of Aristotle and Nietzsche (and their words are everybody words) based on calculations and algorithms. If grammar is the “metaphysics of the people,” as Nietzsche claimed, then discussions in the installation is “metaphysics of the machines” and as such ant-words or anarchistic grammar. It is a vision of transfer of knowledge in the future and present criticism of society and technoculture which is allowing brutal destruction of human context replaced with artificial and superficial. Key technical novelty presented in Installation Robosophy Philosophy is the combination of chatbot technologies and Recurrent Neural Network (RNN) models that will enable reinforcement learning in order to create artificial conversational agents who will achieve human level performance. The fact, that things can communicate with each other and with the humans enables unsupervised learning and reinforcement learning and knowledge multiplying opportunities.